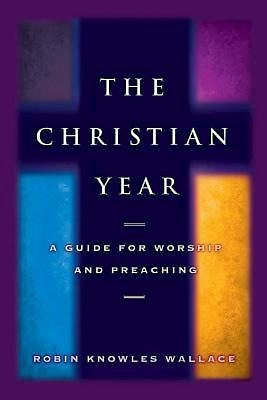 In this concise guide, Dr. Knowles Wallace gives practical worship and preaching suggestions for each season of the Christian year as it relates to the Revised Common Lectionary. She describes the unique features and colors of each season as well as its historical overview, theological grounding, and significance for faith formation. The Christian Year gives ways to draw upon the gifts of existing congregations while seeking to expand their witness and faith formation. The author walks the reader through each season, beginning with Advent, followed by Christmas, Epiphany, Ordinary Time in Light of Epiphany, Lent, Palm Sunday to Holy Saturday, Easter through Pentecost, and Ordinary Time as People of the Resurrection, giving sample services with suitable lectionary readings, hymns, prayers, and spatial and visual suggestions for each season in either traditional or contemporary worship styles. In this concise guide, Dr. Knowles Wallace gives practical worship and preaching suggestions for each season of the Christian year as it relates to the Revised Common Lectionary. She describes the unique features and colors of each season as well as its historical overview, theological grounding, and significance for faith formation. The Church Year gives ways to draw upon the gifts of existing congregations while seeking to expand their witness and faith formation.